Dr. Nuri Kim is a gifted dentist treating patients from in and around Frisco, Texas at her welcoming practice, SaySmile. Dr. Kim provides a broad range of services to help her patients improve and protect their dental and oral health including root canals, teeth whitening, braces, dental implants, and wisdom teeth removal. Dr. Kim completed her undergraduate with outstanding achievements in biochemistry at UCLA and then earned her doctor of dental surgery from UCLA School of Dentistry in 2009. She stays current with the most up-to-date dental practices by participating in continuing education courses and investing in new technologies to deliver the comfort and quality of dentistry to her patients. Dr. Kim says, “I am very blessed and thankful to have a rewarding profession. My goal is to give every patient a wonderful dental experience and provide individualized care to achieve a healthy, beautiful smile. It is a great honor to treat my patients and be part of improving their oral health in relations to overall health.” She always knew her profession would enable her to be of service to others. Through her involvement in various mission trips and her home church, she has strengthened her inner character to listen with her heart, allowing her to connect with her patients and provide the best possible service. Dr. Kim grew up in Los Angeles, California, and currently resides in Carrollton, Texas. She lives with her husband, Jae and her two kids, April and Andrew. She enjoys traveling, building Legos, and drinking sea salt coffee. Dr. Kim and her office staff are truly the best. If you're looking for an amazing dentist with a clean office and great staff, look no further!!! Dr. Kim was very gentle caring and knowledgeable! She took care of my two kids really well. The office is super clean and equipped with the latest technology. My retainer broke so I called them and they were able to get me in same day! Dr. Kim was able to fix my retainer up in no time! Love this office! Great place for dental care!! Dr. Kim is so nice and excellent!! Clean office, very friendly & professional staff. I highly recommend SaySmile dental. I'm so glad I found SaySmile Dental! From start to end was a great experience. Dr. Kim was very friendly and thorough. The staff was equally nice and courteous. I got a wisdom tooth extracted with Dr. Kim. No pain what so ever. Staff and Dr. Kim explained everything and were very thorough. Dr. Kim did great job and had excellent services. Great place to be and with latest equipment. Thanks Dr. Kim and team! Dr. Nuri Kim was very warm and informative. System, interior and all facility is very clean and organized well. I highly recommend all their services. Dr. Kim treated my daughter and she did a wonderful job! Dr. Kim made her feel ease throughout the treatment. She was very gentle and I would highly recommend her! simply great doctor and great service. There are so many dentist around the corners from our area but still me and my wife choose to drive miles down for a very simple reason. " SATISFIED CUSTOMERS" that's Say Smile Dental signature. Dr.Kim and the staffs are awesome so gentle and caring, made me feel incredibly comfortable, I definitely recommend. They also have Netflix 🙂 throughout my cleaning. Highly Recommend !!! My favorite dentist. A bright, white, straight smile is an American hallmark. Dr. Stephen Chu helps his patients from in and around Frisco, Texas achieve healthy straight teeth with braces. Dr. Chu offers comprehensive orthodontic treatment from the practice, SaySmile. If you want to improve the alignment of your teeth and your smile, call or schedule an appointment online with Dr. Chu today. Dental crowns are a very effective treatment to protect damaged teeth from further decay or damage. Dr. Nuri Kim offers modern and effective crown treatments for her patients from Frisco, Texas at her comfortable and welcoming practice, SaySmile. 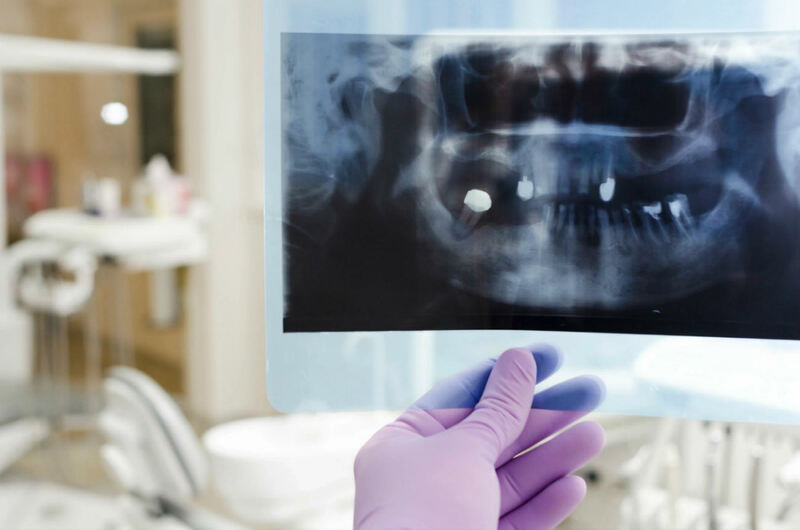 If you have cracked, broken, or severely decayed teeth, Dr. Kim will be able to restore your teeth and protect your dental health. Dr. Nuri Kim provides deep cleaning treatments, also known as scaling or root planing, to remove tartar, stains, and other debris from the teeth above and below the gum lines with thorough deep cleaning treatments. Patients from in and around Frisco, Texas know that Dr. Kim’s deep cleaning treatments at SaySmile will help improve and protect their dental health. Root canal therapy is an advanced dental treatment that’s used to remove decay and debris from the interior of a tooth. This protects and preserves the blood vessels, nerves, and other delicate tissue found inside of a tooth when decay reaches the pulp. Dr. Kim uses special tools and techniques to reach and clean the inside of a tooth. This procedure can save your natural teeth from needing an extraction. If you live in or around Frisco, Texas and need a root canal performed schedule an appointment with SaySmile today. Dental implants are an excellent and natural looking solution for lost adult teeth. Dr. Nuri Kim fits her patients from in and around Frisco, Texas with permanent and natural looking dental implants from her practice, SaySmile. These effective replacement teeth not only improve the appearance of your smile but also protect your overall oral health. If you’re ready to change your smile for the better, Dr. Nuri Kim offers effective and safe teeth whitening treatments from her practice, SaySmile. She’s helped patients from in and around Frisco, Texas to achieve the bright white smiles of their dreams with in-office teeth whitening treatments. If you’re ready to brighten your smile, make an appointment for teeth whitening with Dr. Kim today. Dr. Nuri Kim helps her patients from in and around Frisco, Texas to achieve the bright, white, healthy smiles they’ve always dreamed of with the expert application of veneers. A healthy smile is a sign of youth, but teeth are often stained or chipped. Veneers are an excellent dental treatment to correct smiles. Call or schedule an appointment online at SaySmile. If you live in or around Frisco, Texas and need to have your wisdom teeth taken care of, Dr. Nuri Kim at SaySmile offers comprehensive and compassionate examinations and, if necessary, extractions. It’s very common for people to need their wisdom teeth removed, either due to space issues or because the teeth don’t erupt correctly. Whatever your situation, Dr. Kim will help protect your smile and dental health. Our office accepts and honors all PPO insurances and most dental insurance plans. And we will gladly file your insurance claims as a courtesy. The following are just a few of the dental insurance carriers we're providers for. We also accept MCNA and Dentaquest CHIP/Medicaid to better serve our pediatric patients. ***Once your request an appointment, give us 1-2 working days to process and we will contact you to confirm. Braces are wires that are attached to the teeth with metal brackets. Slowly over time, Dr. Chu tightens the wires and your teeth are moved into place. Braces have been used since the 1800s to correct the alignment of teeth. Today, patients wear braces for anywhere between 18-36 months. Advances in orthodontic technology have made modern braces more effective, efficient, and comfortable than ever before. When you’re fitted with braces, Dr. Chu will clean and dry your teeth and attach the brackets to them with a strong bonding agent. The next step is for Dr. Chu to thread the wires through the braces, securing them with elastic bands. Dr. Chu will create a model, or a map, of how your teeth need to move to correct the alignment. Once your braces have been fitted, you’ll attend appointments every four to six weeks for Dr. Chu to tighten your wires and adjust your bands to pull your teeth into the correct alignment. Each appointment takes about 20 minutes. How should I take care of my teeth while I am wearing braces? While you wear your braces, you’ll need to take extra care of your teeth. You should brush your teeth after every meal and floss carefully. With the brackets and wires, there are more opportunities for food to get trapped and lead to decay. Dr. Chu and her hygienist will provide you with specific instructions on how to clean and care for your teeth. You’ll need to have regular checkups and professional cleanings in addition to your orthodontic appointments. At what age are braces most effective? Patients of all ages can benefit from braces and orthodontic treatment. Braces are more commonly provided to young people, usually in early to mid-adolescence. However, approximately 25% of orthodontic patients are adults. Are there any foods I need to avoid while I have braces? You should stay away from hard or sticky foods that might either break your braces or get stuck in them. You’ll want to avoid gum, taffy, and other sticky candies. You’ll also want to cut up raw fruits and vegetables before you eat them. A dental crown, sometimes called a cap, is a dental device that fits over a tooth. Crowns are used for a variety of reasons including protecting damaged and decayed teeth, covering large fillings, securing dental bridges, as a part of a dental implant, or covering cosmetic issues like uneven sizing or shapes. Crowns are typically made from porcelain because it can be tinted to match the surrounding teeth. Often, a crown will have a metal inside and a porcelain coating to make the device stronger but still natural looking. What are some of the dental issues that crowns are used to treat and correct? In most cases, Dr. Kim can place a crown in just two visits. During the first appointment, Dr. Kim will treat any damage or decay and remove a thin layer of enamel so the crown will fit in with your surrounding teeth. She’ll make a mold of your tooth, which is used in a dental lab to create a custom crown that fits in perfectly with your other teeth. Then you’ll be fitted with a temporary crown while your permanent crown is being manufactured. At the next appointment, Dr. Kim will fit your permanent crown onto your tooth. 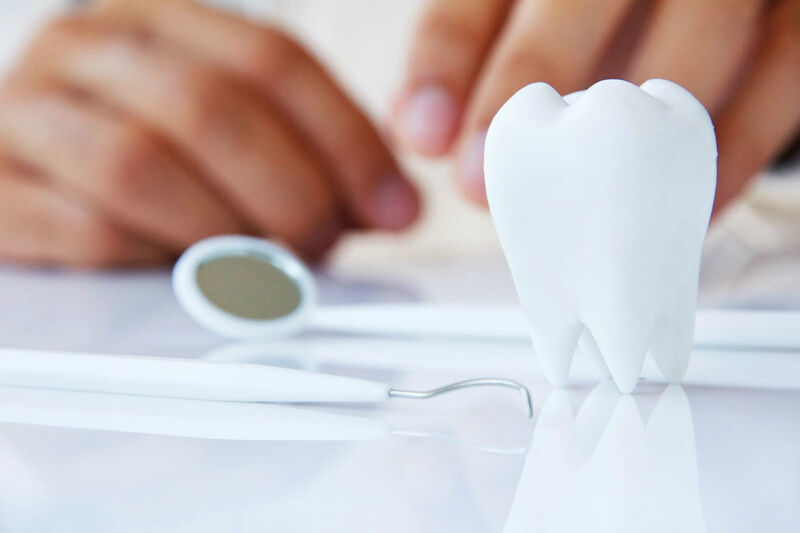 Once the crown is bonded to your tooth, she’ll buff and polish the tooth to smooth out any roughness and to make it shine like a natural healthy tooth. Crowns are easy to take care of. You just need to brush and floss like with your natural teeth and attend regular bi-annual dental appointments. While the crown won’t decay, you still need to keep it clean to protect your gums and surrounding teeth. You should also avoid crunching on ice or hard candy which can cause chips or cracks. With proper care, a crown can last for 15 years or more. 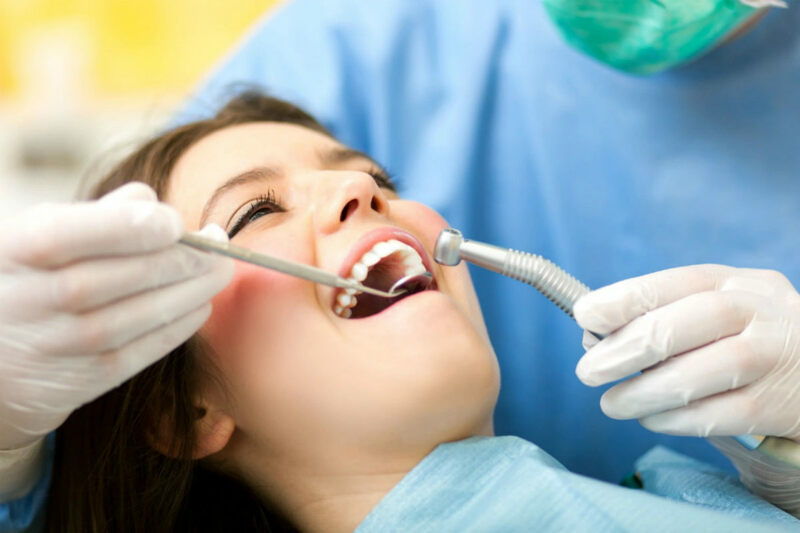 A deep dental cleaning is another name for a treatment called root planing or scaling. Deep cleaning removes tartar and plaque from not only the visible parts of the teeth but also beneath the gum line. Dr. Kim may use a local anesthetic and specially designed tools to clean the teeth exposed by periodontal pockets. This treatment is an excellent preventive treatment for periodontal disease. Why would I need a deep cleaning? Dr. Kim may suggest deep cleaning treatments for patients who are showing signs of gingivitis and periodontal disease. According to date from the CDC, over half of American adults show some signs of periodontal disease. These signs include inflammation of the gums and the development of periodontal pockets where the gums start to pull away from the teeth. A deep cleaning should remove any plaque or tartar buildup so that fresh new tissue can regrow around the teeth to provide support. While routine brushing and flossing can remove soft and loose plaque, if you start to show sign of periodontal disease like bleeding or red gums, Dr. Kim may suggest deep cleaning to treat the condition before it progresses, potentially leading to tooth loss. If you are showing symptoms of periodontal disease, Dr. Kim may want to see you every three months to check on your teeth and gums to make sure that treatment is effective and your gums are healing. What happens during a deep cleaning? During a deep cleaning treatment, Dr. Kim will numb the portion of your mouth to be treated. 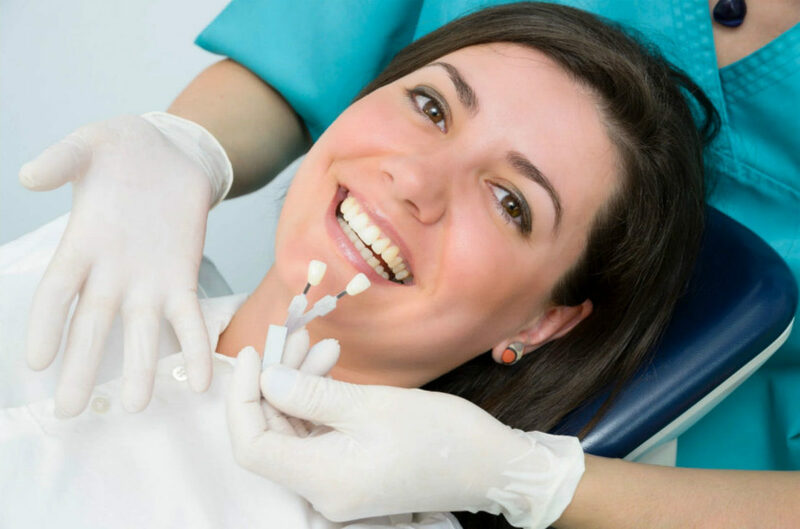 Depending on the depth of cleaning required, she may only treat a quarter of your mouth at a time, although in many cases the whole mouth can be treated in one session. After the local anesthetic has taken effect, Dr. Kim uses special tools to clean the visible surfaces of the teeth as well as the roots exposed by periodontal pockets. She’ll also smooth away, or plane, any rough areas where bacteria is likely to collect in the future. Do I need to do anything special to take care of my teeth after a deep cleaning? Following a deep cleaning, Dr. Kim will provide you with special instructions on how to brush and floss your teeth. She may also prescribe an antibacterial mouthwash to use after the treatment. You may experience some tenderness following treatment, but an over-the-counter painkiller should help. Root canal therapy is an advanced dental treatment that’s used to remove decay and debris from the interior of a tooth. This protects and preserves the blood vessels, nerves, and other delicate tissue found inside of a tooth when decay reaches the pulp. Dr. Kim uses special tools and techniques to reach and clean the inside of a tooth. This procedure can save your natural teeth from needing an extraction. What happens during a root canal treatment? A root canal is similar to a surface cavity filling. Dr. Kim will first numb the tooth and surrounding tissue to make the procedure as comfortable as possible for you. Then she’ll use special dental tools to remove any diseased or decayed pulp from the tooth. The next step is to clean and seal the tooth to prevent any further decay from developing. Finally, Dr. Kim will place a crown on the treated tooth. The crown provides protection and support to the tooth. Modern advances in dental technology have significantly improved the patient experience while having root canals or other dental treatments. Some of the symptoms that indicate you may need a root canal include sensitivity to hot and cold, toothache, and swollen or red gums. These symptoms can indicate a variety of dental issues, so it’s imperative that if you experience them, you seek professional dental care with Dr. Kim. She’ll provide a thorough exam and appropriate treatment to repair and restore your teeth. If my tooth is decayed on the inside, is it better to have a root canal or an extraction? Dr. Kim believes that the best option is always to save your natural teeth. An extraction can affect the alignment of your teeth as well as your bite mechanic and your jaw health. If you have an extraction, you’ll also need to have some kind of prosthetic tooth placed, like an implant, bridge, or denture. An additional benefit of opting for a root canal is that this treatment is typically less expensive than an extraction and prosthetic. If you have questions about root canals or think you need dental attention, make an appointment with Dr. Kim at SaySmile today. Dental implants are individual replacements for lost teeth. A dental implant includes a titanium post, an abutment, and a crown. The titanium post is inserted into your jaw and acts like a replacement root. This is important as the roots of your teeth provide stimulation and support to your jawbone, helping to keep it strong and healthy. The abutment connects the post to the crown. The crown is the false tooth that corrects your smile and helps keep the neighboring teeth in place. Dental implants are a popular solution to lost adult teeth as they look very natural and are taken care of the same way as natural teeth. Why would I need dental implants? Dental implants can replace a single tooth or all of your teeth. Dr. Kim will provide individualized advice on whether or not dental implants are the best option for you to replace any lost teeth. If your gums and jaw are healthy, you’ll need three visits to complete the installation of your dental implants. You may need additional appointments if bone grafting is necessary to strengthen your jaw to support the implants. Once Dr. Kim is satisfied with the health of your jaw, the installation will begin. The titanium posts will be implanted into the jaw during the first appointment. Then several weeks later, to allow the titanium to fuse with your jaw, the abutment will be placed with temporary crowns. If you’re having implants to fill a gap between natural teeth a mold will be taken of the gap and the surrounding teeth. 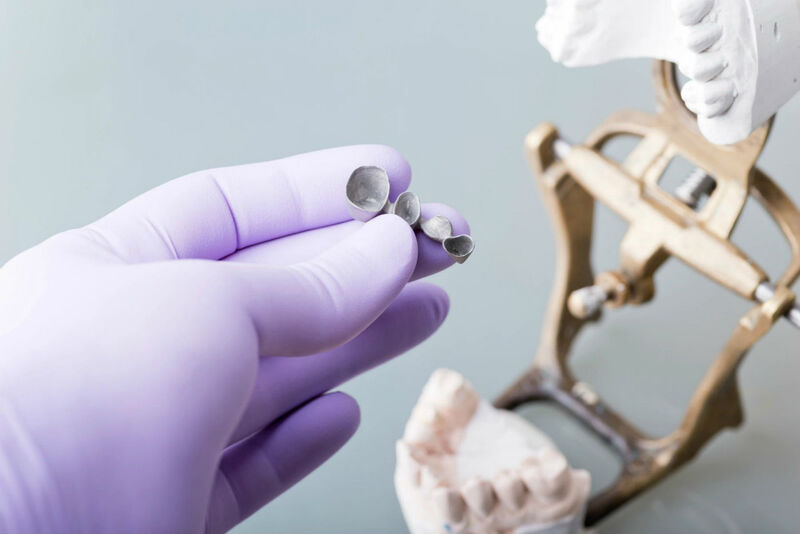 This mold will allow the dental lab technicians to create the crowns for your implants that fit exactly into your mouth and look natural with its neighbors. During the final appointment, your custom crown is attached and buffed and shined to create a smooth, natural looking false tooth. With proper care, your dental implants should last a lifetime. You take care of dental implants the same way you would care for natural teeth. Brush them at least twice a day, floss at least once a day, and see Dr. Kim for regular dental checkups. While the implants will not decay or stain, it’s still important for Dr. Kim to keep an eye on your overall oral health. If you’ve lost any of your adult teeth and think that implants might be a good solution for you, talk to Dr. Kim at SaySmile about your options. What causes tooth staining and discoloration? Your teeth may become yellow and stained for a variety of reasons. Certain foods and beverages are common contributors to discoloration for example when you drink coffee, tea, or red wine. Also, foods with high acidity like citrus fruits or soda can contribute to staining because the acid temporarily softens the enamel. Tobacco also causes significant yellow and brown tooth staining. Certain medications, diseases, and trauma may also lead to discoloration. Why should I choose professional dental teeth whitening over a drugstore kit? Professional teeth bleaching with Dr. Kim at SaySmile is a quicker and more effective treatment than any over the counter products you can buy at your local drugstore. The bleaching agent is stronger because it’s administered and supervised by a trained dental healthcare professional, and it’s further activated by exposure to a special light that stimulates the bleaching agents. While the drugstore kits are safe, Dr. Kim will provide a thorough exam before bleaching your teeth to ensure they’re healthy enough for the treatment and to confirm that the discoloration will be effectively removed with the treatment. Some staining, mainly discoloration due to certain medications or trauma, is from the interior of the teeth and isn’t’ removed by surface bleaching. What happens during Dr. Kim’s in-office teeth whitening procedure? Before your whitening treatment begins, Dr. Kim will clean and examine your teeth. She’ll treat any decay or damage before beginning the whitening treatment. To start the treatment, Dr. Kim will place a soft plastic guard in your mouth to prevent the whitening gel from touching your gums or lips. Then she’ll carefully apply an innovative, hydrogen peroxide gel to your teeth. The gel is light activated which boosts the whitening process. Dr. Kim will then direct the special light at your teeth, and you’ll relax for approximately 15 minutes. When the lightening process is complete, the gel will be wiped away and the retainer removed. The whole process will take between 45-90 minutes. You’ll notice the effects of treatment right away. Teeth whitening doesn’t hurt. Some patients may experience sensitivity to hot or cold temperatures following treatment, but this sensation usually fades within a day or so. You can also get right back to normal activities after treatment; you won’t need any recovery time. Veneers are dental treatments where a thin layer of tooth-toned porcelain is bonded to the fronts of the teeth. Dental veneers are custom-made to fit your teeth and mouth exactly, providing a natural and healthy appearance. While dental veneers are considered a cosmetic treatment, they can correct a variety of issues while also creating a more attractive smile. Why would I need veneers? Most patients require two office visits to be fitted with veneers. At the first visit, Dr. Kim examines your teeth and gums to ensure they’re healthy enough for the veneers to be placed. 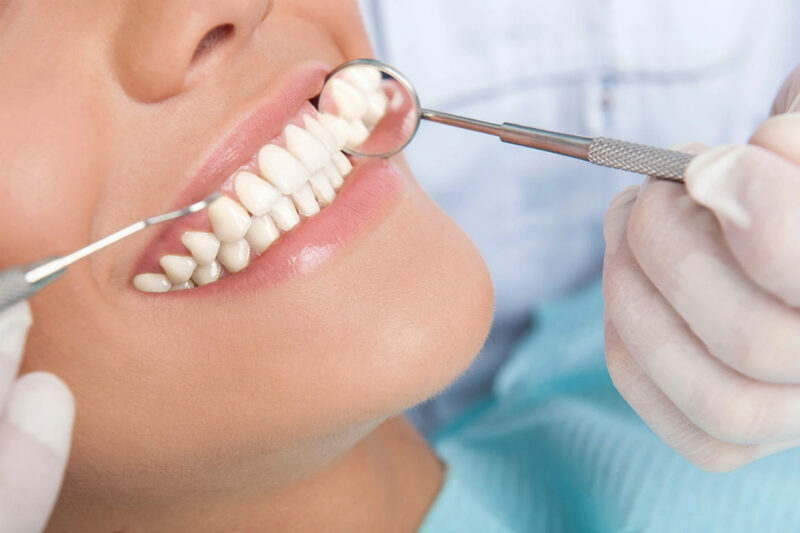 If your teeth and gums are healthy, the next step is to remove a thin layer of your tooth enamel so that the veneer will sit flush against the teeth and gums. Dr. Kim then takes an impression of your teeth which is used by the technicians in a dental lab as a model to create your customized veneer. Dr. Kim will fit you with a temporary veneer to protect your teeth while your veneer is custom-crafted. During the second visit, Dr. Kim will remove your temporary veneer and attach your permanent porcelain veneer using a strong bonding agent. The veneers and your teeth will be buffed and polished to ensure the correct fit and to create a natural shine. How do I take care of my new veneers? Taking care of veneers is very straightforward. Just like with natural teeth you should brush at least twice a day and floss at least once. It’s also important to see your dentist at least twice a year. While the porcelain veneer isn’t going to decay or stain, your dentist still needs to check on your other teeth, your gums, and your overall dental health. Your veneers will last a decade or more if you take care of them and your surrounding teeth and gums effectively. 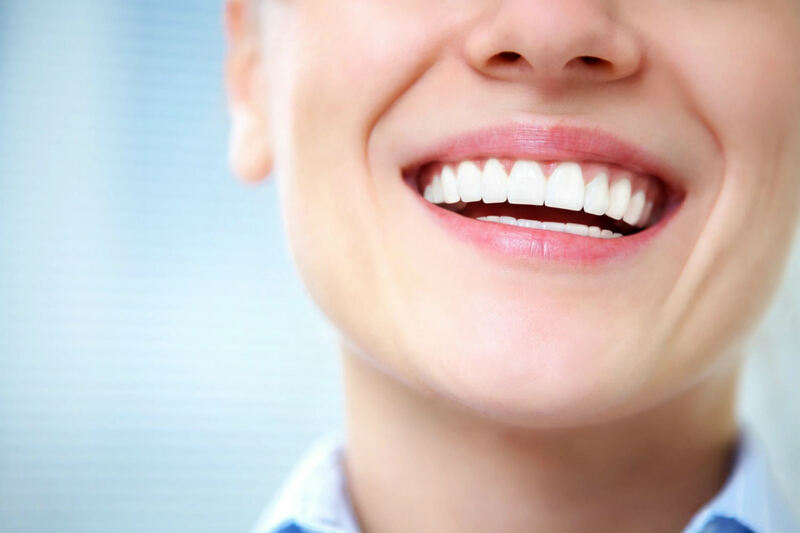 Veneers are relatively non-invasive and gentle on the surrounding teeth and gums. They provide a bright, healthy, and natural looking smile. They’re resistant to stains and decay and are easy to care for. No, not all people need to have their wisdom teeth removed. Your wisdom teeth are your final molars, which often don’t erupt until late adolescence or early adulthood. In many cases, people don’t have enough room in their jaws to accommodate the additional molars. In other cases, the wisdom teeth don’t emerge correctly or may grow in an incorrect direction. When this happens, the wisdom teeth are considered impacted. When either of these situations occurs, the wisdom teeth may need to be removed. And of course, there are many people who have no trouble with their wisdom teeth at all. Dr. Kim will provide a comprehensive exam and if it’s necessary to preserve your dental health, she’ll recommend extraction of your wisdom teeth. What symptoms indicate that I might have a problem with my wisdom teeth? You may experience jaw stiffness or tenderness when your wisdom teeth erupt. Your gums may swell or show signs of gum disease. You may also experience pain at the site where your wisdom tooth is growing. You may not experience any symptoms at all. That’s why it’s important to have regular dental checkups and X-rays. This is the most effective way to keep an eye on your teeth so that if there’s a problem, Dr. Kim can provide effective treatment to address your needs. What happens during wisdom teeth extraction? Wisdom teeth extraction is one of the most common oral surgeries performed on Americans today. The surgery itself is typically straightforward. A local anesthetic is applied, and if necessary, a general anesthetic will also be used. Once you’re numbed and relaxed, Dr. Kim will use special tools to grasp the tooth. She’ll gently move the tooth back and forth in the socket to loosen it. Once the ligaments that hold it in place have been released, she can remove the tooth from its socket. However, if the tooth is impacted, the procedure may become slightly more complicated. For example, sedation will be necessary. Dr. Kim may need to cut into your gums to reach the tooth root and surgically extract the impacted tooth. 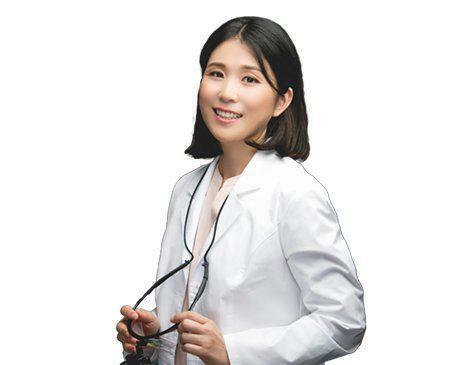 Whatever your situation, you’re in experienced and gifted hands with Dr. Kim. She has helped many patients preserve their dental health with effective treatment and extraction of wisdom teeth.